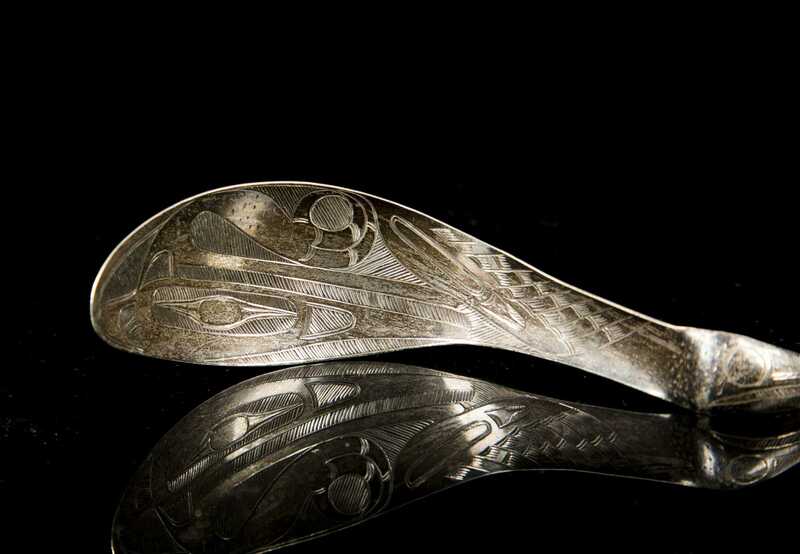 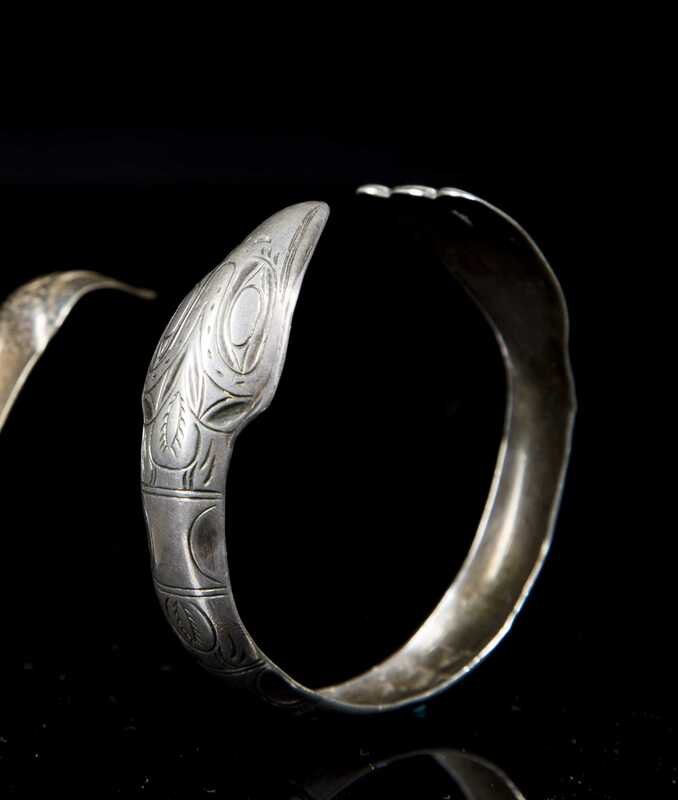 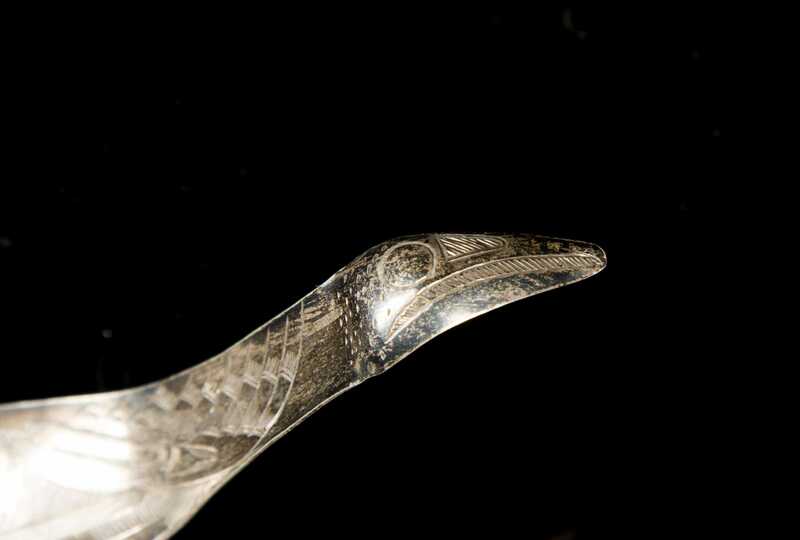 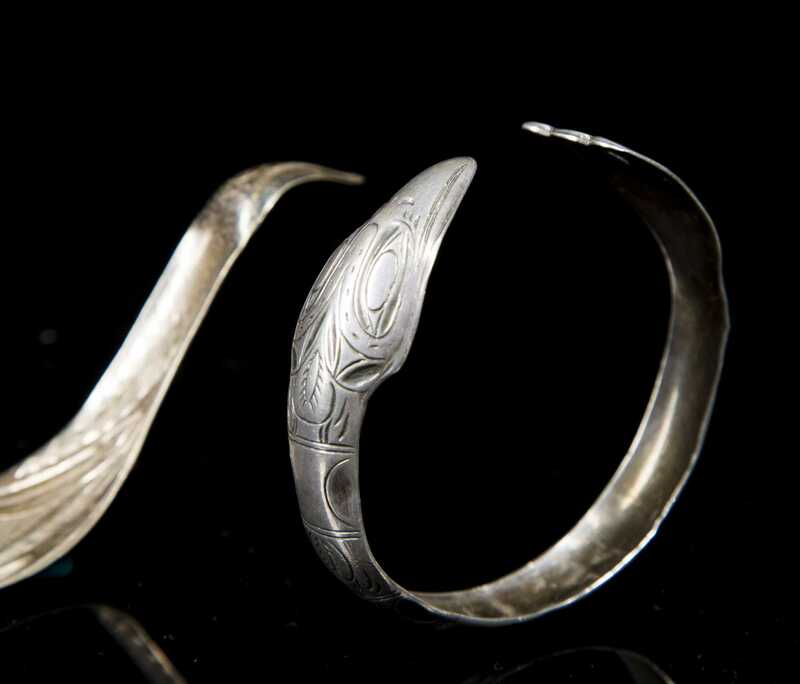 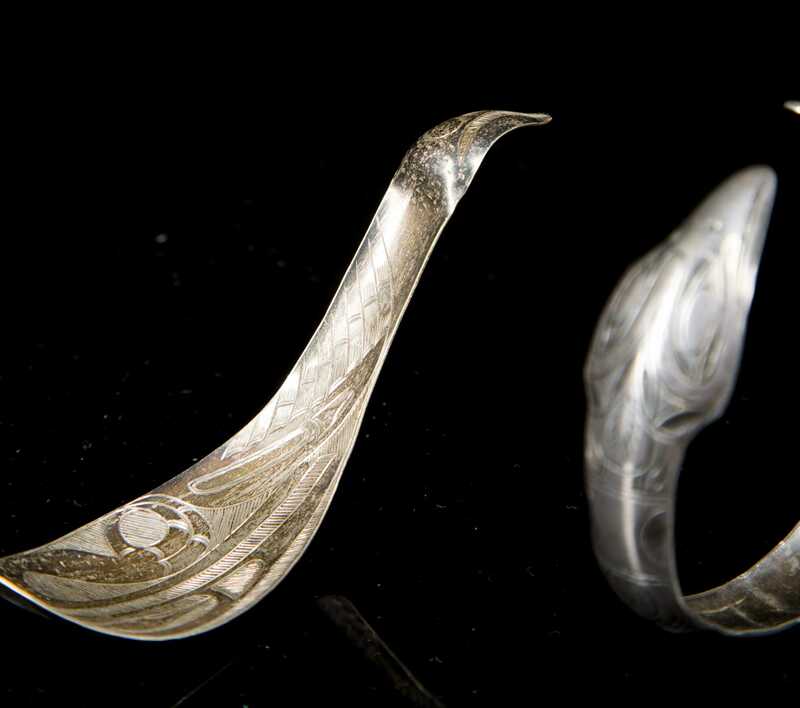 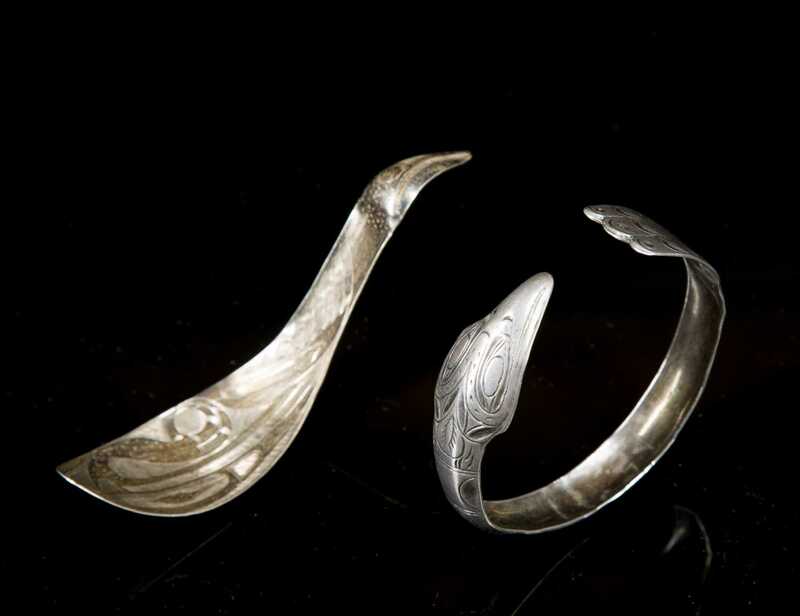 Two Northwest Coast Coin Silver Items, Bracelet and Spoon, The spoon, in avian form, delicately incised with classical feather elements and head to terminus. 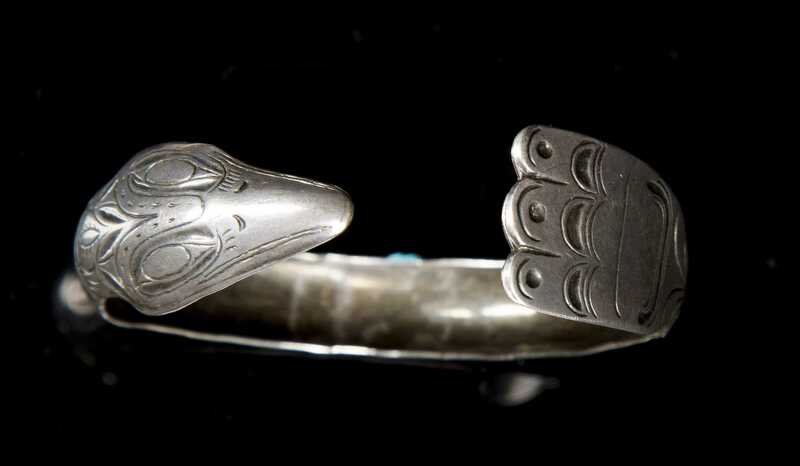 The bracelet, thicker, with bolder designs, stylized bird's head and hand to each end. 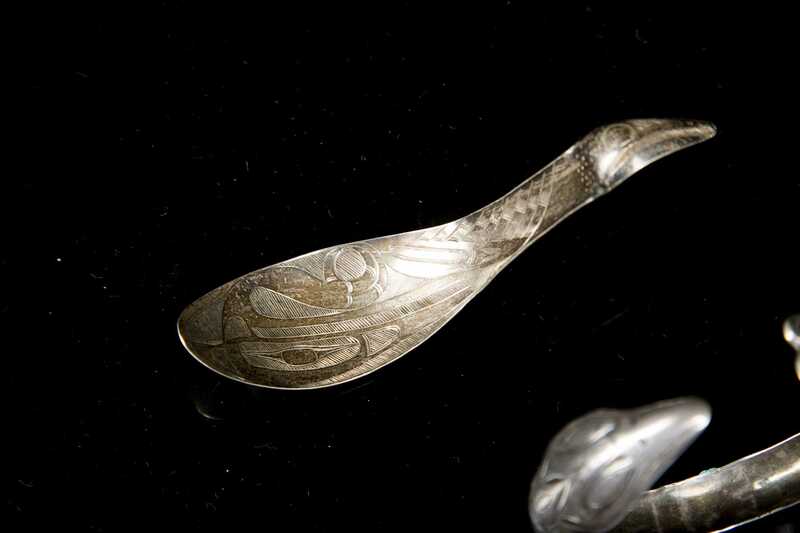 Spoon, 4 1/4"(.8 t.oz), bracelet 2 3/4" (.295 t. oz). 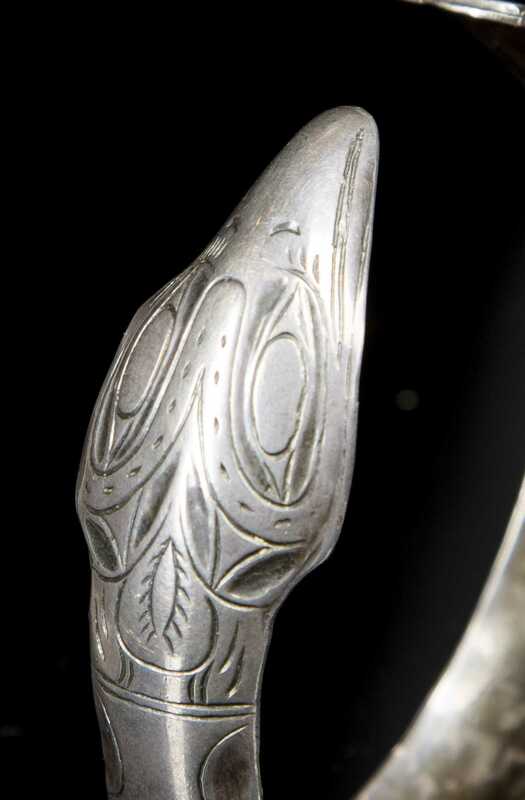 Provenance: George Carmack and hence by descent.